Edited by Anthony Stanton. Published in 2014 as part of the El Colegio de México and the Katz Center agreement for collaboration and intellectual exchange. This book is the third product of this collaboration. It has its origins during an international symposium held at The University of Chicago in September 2008, as an extension of Anthony Stanton’s visit at the University as Tinker Visiting Professor during the fall of 2006. 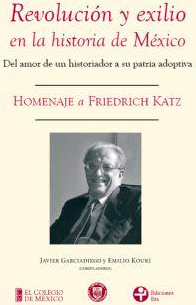 The Katz Center and the Instituto Mexicano de la Radio co-produced a CD with recordings of a series of interviews of Professor Friedrich Katz, by Columbia University anthropologist and historian Claudio Lomnitz, who was formerly a professor of History at the University of Chicago. Recorded on the cusp of the centennial anniversary of the Mexican revolution, the interviews feature two eminent historians of Mexico discussing the revolution in contemporary historical context. Listen here. 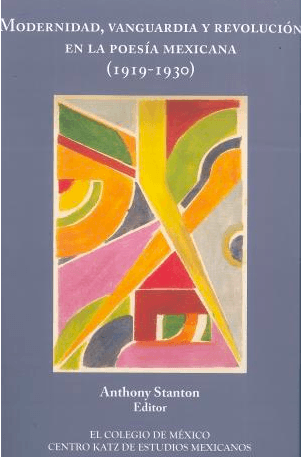 This book comprises a collection of six essays that were presented at a colloquium organized by the Katz Center in 2008. The essays reflect on the legacies of Andrés Molina Enríquez’s influential study of Mexico’s social problems, Los Grandes Problemas Nacionales, one hundred years after its publication. 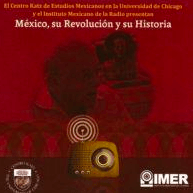 Published jointly between the Katz Center for Mexican Studies and El Colegio de México, the volume was edited by Professor Emilio Kourí and includes articles by Mauricio Tenorio, Claudio Lomnitz, Antonio Azuela, Alejandra Nuñez, Fernando Ecalante, and Emilio Kourí.